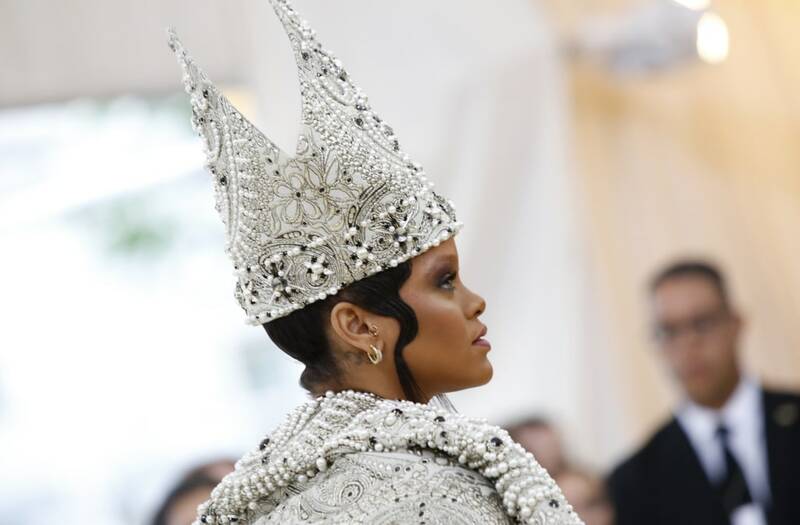 This year's Met Gala was deemed one of the most controversial themes in the gala's 70-year-history. Stars and designers took this year's red carpet to present their interpretations of "Heavenly Bodies: Fashion and the Catholic Imagination" on Monday night, but it was not without some repercussions. Like any awards show, the red carpet was filled with a plethora of scandalous looks. But given the sacredness of the theme, controversy was at the center of this year's star-studded ball. Let's start with the theme itself. "Heavenly Bodies" was announced in November. Andrew Bolton, curator of the exhibit, spoke to the New York Times about the committee's thought process behind Monday's night theme. "The focus is on a shared hypothesis about what we call the Catholic imagination and the way it has engaged artists and designers and shaped their approach to creativity, as opposed to any kind of theology or sociology. Beauty has often been a bridge between believers and unbelievers,” he said when the theme was announced last fall. What comes to mind when you think of "The Catholic Imagination?" Crosses? Crucifixes? Veils? Sunday's best? Celebrities took the theme and ran, much to the dismay of many, with some deeming it "blasphemous." Jared Leto showed up as Jesus. Nicki Minaj channeled Satan, while Sarah Jessica Parker wore a nativity scene on her head. Rihanna dressed as a scandalous version of the Pope and Katy Petty showed up with wings more than double her size. Was there any way to dress for the theme without being what some viewed as sacrilegious? Some thought the theme initiated conversation about religion, while others believed it showed the "beauty" of the culture.